Check out Portada's Interactive Directory of Corporate Marketers and Agency Executives. 15 NEW LEADS HAVE JUST BEEN UPLOADED. To acquire the database, please contact Silvina Poirier at 347-840-1311 or e-mail her at silvina@portada-online.com SEE A DEMO OF THE DIRECTORY! Quebec-based BRP, Ski-Doo snowmobiles and other recreational products maker, has appointed MediaCom for North American planning and buying duties. BRP spends an estimated US$50 million annually on ads. Incumbent was Geometry, also part of WPP. MediaCom will manage the BRP account from its Quebec office. BRP went public in 2013 and sells products in over 100 countries worldwide. OTT Sling TV is introducing Latino-focused regional programming packages. Sling Latino also debuted pricing and packaging changes across its Spanish-language service.The new CARIBE package features programming from CUBAMAX TV and WAPA América, including novelas, movies, comedies, variety shows, children’s programming and music videos from Cuba, Puerto Rico and coming soon, the Dominican Republic. Sling Latino is also introducing simplfied pricing. All Sling Latino packages are now available as standalone packages for $10 per month and customers who subscribe to Best of Spanish TV may add any regional Sling Latino pack for $5 more per month. In addition NBC Universo is joining the best of Spanish-TV package. Hennessy, the world’s #1 Cognac, has announced “Harmony. Mastered from Chaos.” –a new campaign that brings to life the multitude of complex variables that are mastered by human touch to create the brand’s most harmonious blend, V.S.O.P Privilège. Set to launch June 30th, the campaign showcases the absolute mastery exuded at every stage of crafting this blend. This first campaign in over ten years also offers a glimpse into the inner workings of Hennessy’s mysterious Comité de Dégustation (Tasting Committee)—perhaps the ideal example of Hennessy’s mastery—that crafts the same rich, high quality liquid year over year. Narrated by Leslie Odom, Jr., the campaign features 60, 30 and 15 second digital spots and an interactive digital experience, adding another vivid chapter to the brand’s .Hennessy’s Comité de Dégustation is a group of seven masters, including seventh generation Master Blender, Yann Fillioux, unparalleled in the world of Cognac. “Harmony. Mastered from Chaos.” will be supported by a fully integrated marketing campaign including consumer events, retail tastings, social and PR initiatives. Consumers will be able to further engage with the brand through the first annual “Cognac Classics Week” hosted by Liquor.com, taking place July 11-18 to demonstrate the harmony that V.S.O.P Privilège adds to classic cocktails. Kicking off on Bastille Day in a nod to Hennessy’s French heritage, mixologists across New York City, Chicago, and Los Angeles will offer new twists on classics such as the French 75, Sidecar, and Sazerac, all crafted with the perfectly balanced V.S.O.P Privilège.Havas is the media buying agency behind this campaign.“Harmony. Mastered from Chaos.” is a campaign designed to engage consumers of fine spirits, so by definition it is intended to be inclusive, and appealing to consumers of all backgrounds. The digital channels on which this campaign will run cover various areas of interest and multicultural audiences. Crystal Pepsi is coming back to store shelves nationwide in 20-ounce bottles for a limited time at major retailers starting July 7 in Canada and Aug. 8 in the U.S., according to PepsiCo.Crystal Pepsi will be available for eight weeks.Crystal Pepsi's marketing campaign will lean heavily on 1990s culture.On a special website, PepsiCo on July 7 will release a video game called "The Crystal Pepsi Trail, "Adage reports. The game is Pepsi's take on the classic computer game "The Oregon Trail." The game challenges players to take a covered-wagon journey westward and dodge pitfalls. " The game is meant to connect with soda drinkers who might have played it in the 1990s. While no TV ads are planned, Crystal Pepsi will be supported by an extensive paid media campaign on digital channels. The lead agency on the campaign is Barbarian Group. Procter & Gamble Co. has launched a new ad campaign with a 1950s jingle that has been remixed to tout the effectiveness of the Cincinnati-based company’s Mr. Clean brand.The effort is made to introduce a new generation of consumers to the all-purpose cleaner through television commercials featuring the jingle. 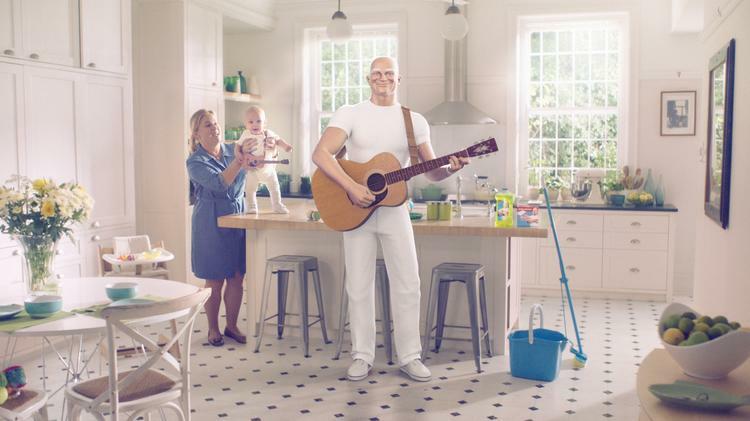 P&G revealed the new Mr. Clean ad on Friday with the social media tag #FlashbackFriday.For the new ad, just a few words have been added in the lyrics, which now focus on the product’s ability to clean every room rather than every thing.